Point2 Homes gives you far more than a simple list of houses for sale. 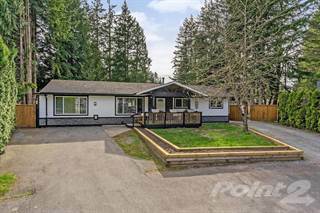 Get instant access to a lot of relevant information about Langley, BC real estate, including property descriptions, virtual tours, maps and photos. The search results pages also have a wealth of information on Langley, BC, if you scroll all the way down. There are 180 houses for sale in Langley, BC. Searching homes for sale in Langley, BC has never been more convenient. With Point2 Homes, you can easily browse through Langley, BC single family homes for sale, townhomes, condos and commercial properties, and quickly get a general perspective of the real estate prices. Also, you’ll never miss a bargain if you filter listings based on house price drops in the past six months. Use the map view to find Langley, BC homes and apartments for sale, based on amenities or city features that you may want close by. You can close in on a specific neighbourhood or area by simply drawing around them with the polygon or radius tools. Stay informed about the latest entries on the real estate market by saving your searches. This way, you get new listings in your inbox, daily or every week, based on your preferences. If you’d like to get in touch with a professional, agents are displayed next to their listings, and they’re easy to contact through the online forms. If you want more options, you can click the Tools tab and Find an Agent, and you’ll get a list of helpful and knowledgeable real estate agents in Langley, BC. Visit the Point2 Homes blog and you can find up to date expert advice on many markets throughout Canada, regular market reports, neighbourhood scoops in cities throughout the provinces, real estate deals and useful recommendations. Located in the Greater Vancouver Regional District, Langley is a lovely area just a 40-minute drive from Downtown Vancouver. With a population of around 104,000 people, and its position close to the Fraser Valley River, Langley is a very desirable city that sits east of Surrey, west of Abbotsford, and next to Cloverdale. Langley is known for its rolling farmland and beautiful views of the mountains. The City of Langley isn’t to be confused with the Langley Township, as politically the two are separate. 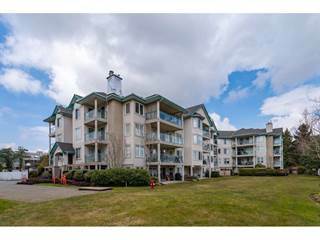 Langley is also situated in close proximity to the US/Canadian border and has good access to the BC Ferry terminals at both Horseshoe Bay and Tsawwassen. Langley is home to popular tourist attraction Fort Langley, which is known as the "Birthplace of British Columbia" due to its history as a British Crown Colony. Langley offers something for everyone, with a mix of amenities and restaurants, entertainment facilities, outdoor recreational activities, festivals, and a range of housing. Much of Langley’s land is green and protected, as farming and agriculture are a fairly dominant industry. The climate in Langley is similar to Vancouver’s and the city enjoys a mild, temperate climate year-round. Located in a coastal temperate rainforest zone, Langley also has its own microclimate which creates perfect conditions for growing crops and grapes and explains the number of wineries in the area. In summertime temperatures hover around the low to mid-20s, while the winters are mild averaging at around 2°C, with over 200 frost-free days per year. Langley is well-known for Fort Langley, a “historical village” within the greater Langley area. Founded in 1827, Fort Langley was once used as a trading post by the Hudson’s Bay Company when the fur trade, salmon canning, and farming were at their peak. It’s now classed as a National Historic Site and is visited by tens of thousands of people each year. Culinary tours are also very popular, especially around Langley’s wineries and farms. Cascade Casino is located in the area, the Fraser Valley’s largest casino, and Langley is also home to the Greater Vancouver Zoo which homes over 800 animals. Langley has a number of junior league sports teams, such as Canadian football and hockey. There are a number of neighbourhoods to consider in the Township of Langley and City of Langley area. The City of Langley can be divided into 6 different neighbourhoods. The Nicomekl River runs through the middle of the city, which is used as a land divider. Districts north of the river include Nicomekl and Douglas, which are more diverse than the south and contain a number of housing options, including apartments and condos, single-family homes, and row houses. Most of the housing and commercial development has occurred north of the river. Areas south of the river include Blacklock, Alice Brown, Simonds, and Upland, and the majority of real estate is single-family housing that has been built within the last 40 years. 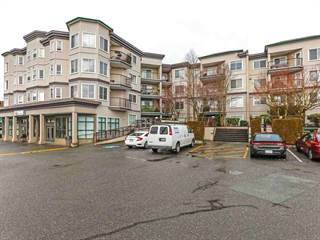 Walnut Grove is a developed area situated west of the Fort of Langley. With easy access to the highway, this neighbourhood is popular among commuters who work in Vancouver or surrounding cities. There are many types of housing options, as well as supermarkets and shops. Langley's most historic area, Fort Langley is a small village with distinctive heritage buildings and tree-lined streets. Most of the housing is colonial-style, and the village has a strong community feel with small businesses and a pleasant vibe. Another historic area, Murrayville was founded in the 1870s and is known for its older buildings, and residential properties with a large amount of land. The area has elementary and high schools, as well as two Christian schools. With a mix of new and old housing developments and undeveloped land, Willoughby is a pleasant area with four elementary schools and one high school, and has good access to the Trans-Canada Highway. Primarily a residential area, Brookswood is located south of the City of Langley and the Nicomekl River, and has a number of homes as well as commercial areas. The area is also home to the Civic Centre with a hockey arena, a skate park, and BMX track. Situated on the edge of the Township of Langley and to the west of Abbotsford, Aldergrove has one of the Lower Mainland’s border crossings and connects with Lynden, in Washington. The neighbourhood is a small community of around 12,000, and the area offers a range of housing types. Although located a 40-minute drive from Vancouver, Langley has seen a spike in housing prices over the recent years largely driven by fierce bidding wars and Vancouver’s hot property market. Interest is peaking in areas such as Langley, as people are venturing into the suburbs to find a property that’s more affordable than Vancouver. Demand for property in the Fraser Valley is growing, and the average house price in Langley has risen by around 30% in the last year. Detached houses in the Langley area average at around $800,000, however, townhouses and condo units are considerably less. There are many public schools in Langley and the surrounding area. The City of Langley has six elementary schools and one middle school, as well as a number of high schools which are located in the Township of Langley. Schools are English-speaking, however, there is a Francophone primary school operated by the Conseil scolaire francophone de la Colombie-Britannique. There is also a campus for Kwantlen Polytechnic University in Langley.